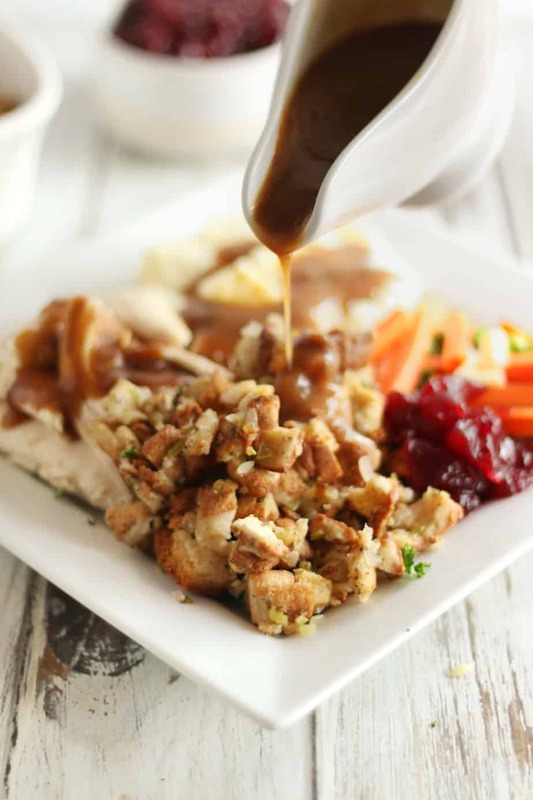 Are You Looking For a Traditional Gluten Free Stuffing Recipe That’s So Good Even Your Non Gluten Free Family Members Will Love It? 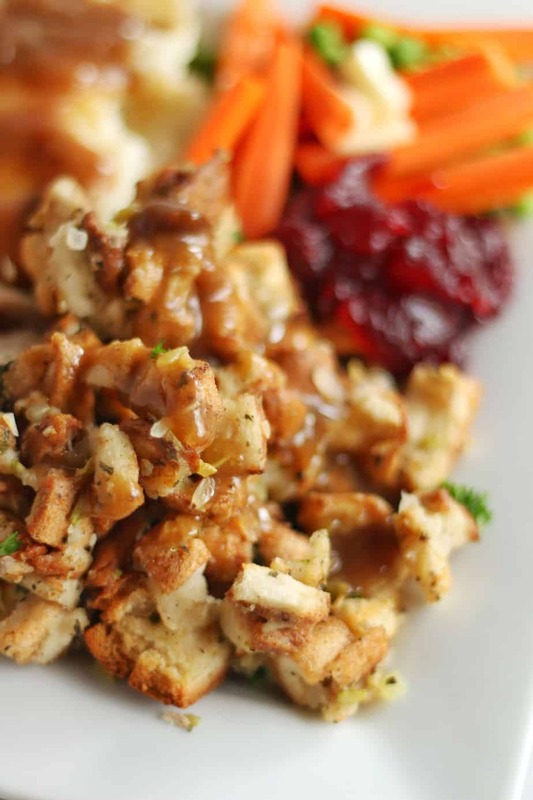 Well I’ve Got You Covered with This Delicious Traditional Style Gluten Free Stuffing Recipe. It’s Really Easy and Tastes Just Like the Stuffing You Grew Up On. Would You Rather a Delicious Low Carb Stuffing that’s Just as Easy and Just as Good? 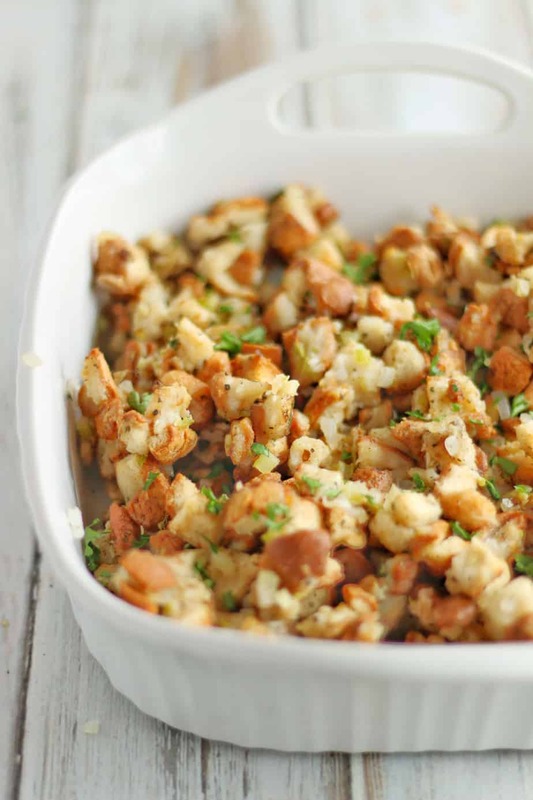 Try this Easy Keto Fathead Stuffing Recipe. 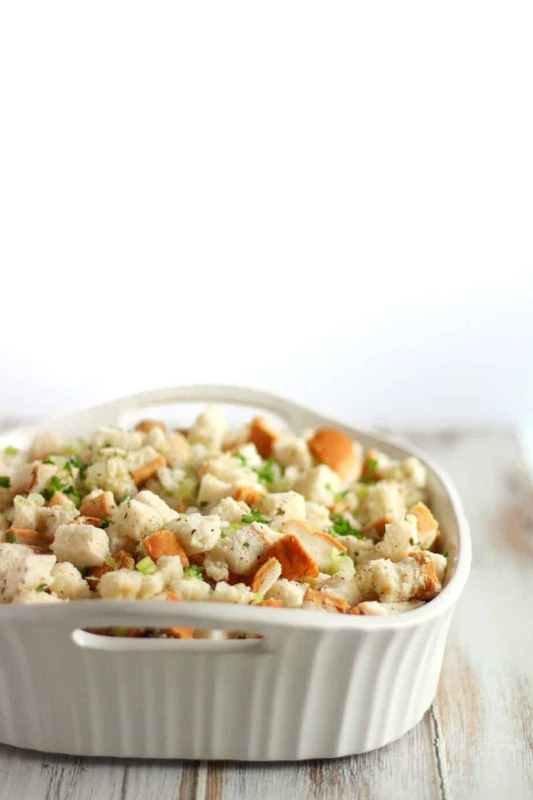 To make this Easy Gluten Free Stuffing, you cut up the loaf of bread into 1/2 inch pieces and place into a large mixing bowl. Mince the onion, garlic and celery, then add to the bowl. Add the stock along with the basil and salt and pepper. Mix until well combined. Use the stuffing to stuff your turkey or chicken or Place the stuffing into a large lightly greased baking dish or onto a cookie sheet. 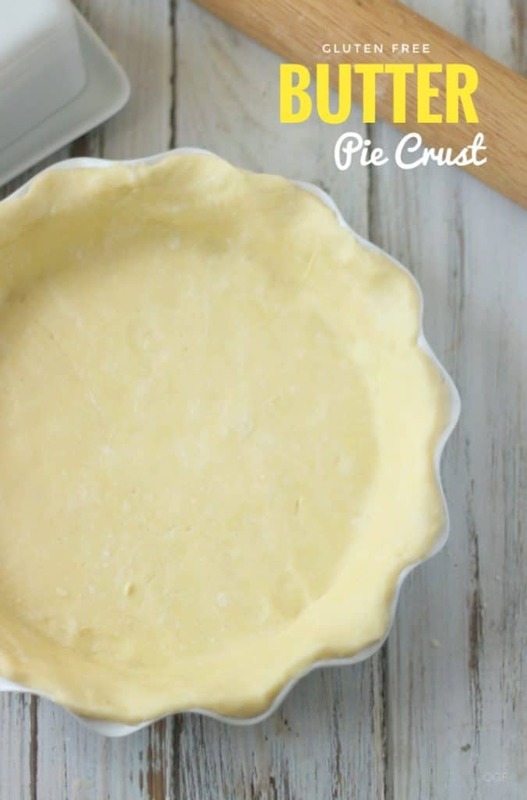 Bake for 40-45 minutes, stirring several times throughout. I’ve gone without stuffing for the last few years but not this year. 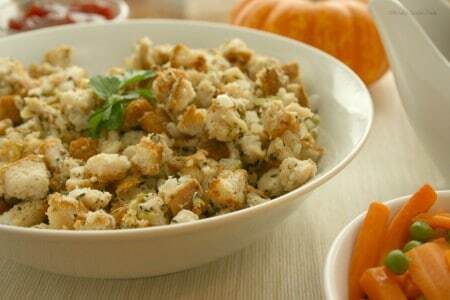 This Thanksgiving we’re having this delicious Gluten Free Stuffing. I think it’s my favorite part of the whole dinner besides the Pumpkin Pie. 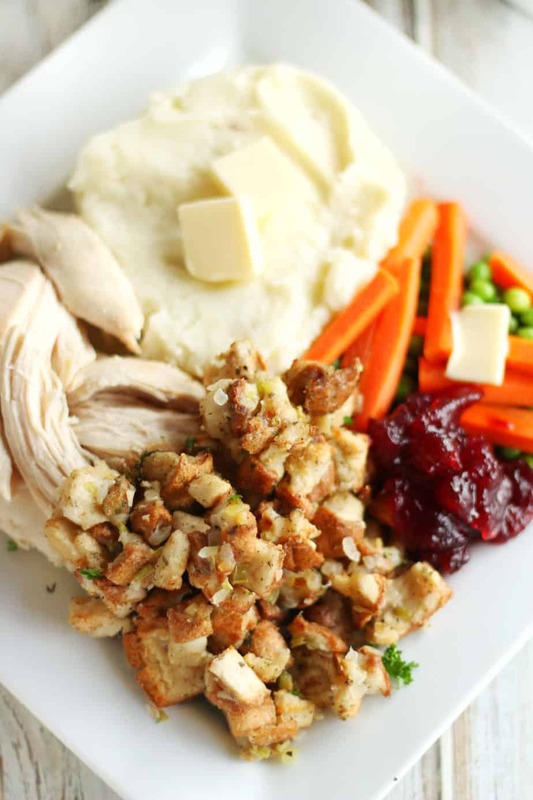 I prefer my Gluten Free Stuffing to be more Traditional, So I make make a basic Stuffing without adding a lot to it. If you’re feeling adventurous, you could try adding Sliced Apples and Sausages, Dried Cranberries and Bacon or Pecans and Figs. 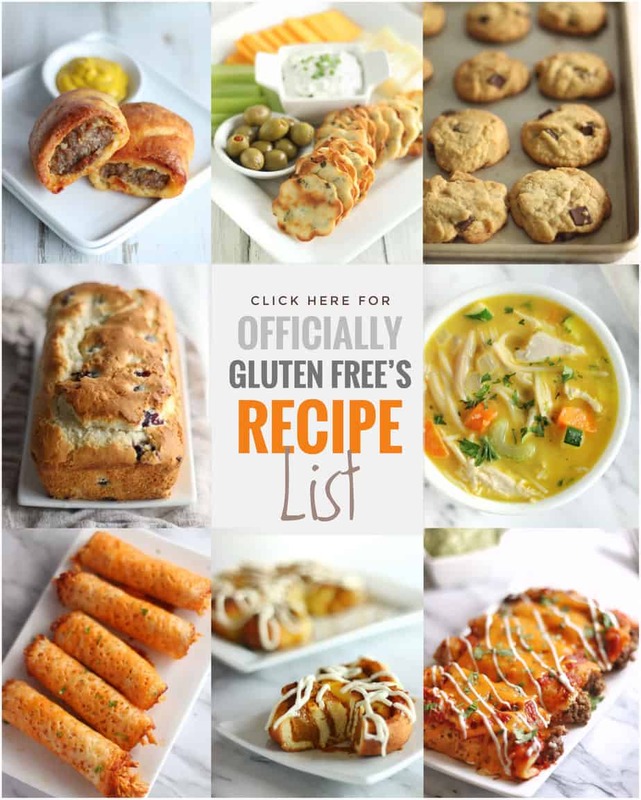 When making Gluten Free Stuffing I like to use whatever Gluten Free Bread I have in the freezer, which often varies depending which stores I’ve shopped at. I usually make my stuffing in a baking pan rather than Stuffing it the Turkey. I don’t pre toast or dry out the bread before cooking it. If I was to stuff the stuffing into the turkey I would slightly toast the bread in the oven first. 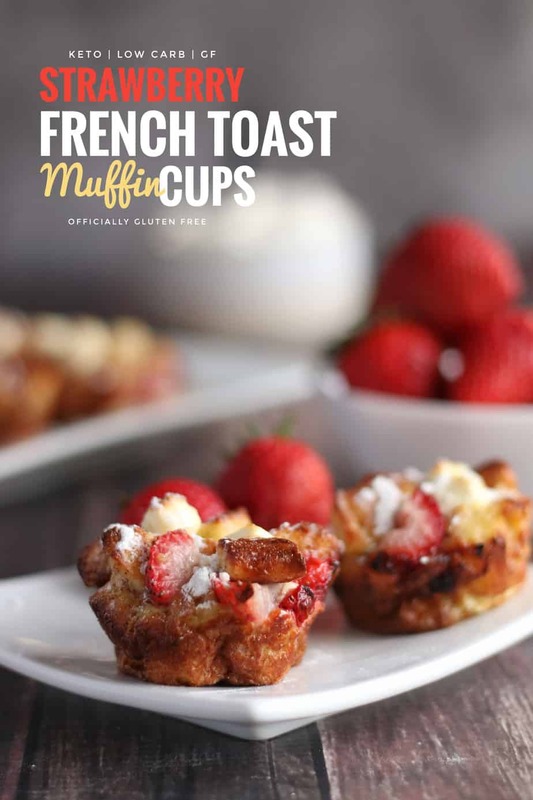 Need something to go with your Gluten Free Stuffing? 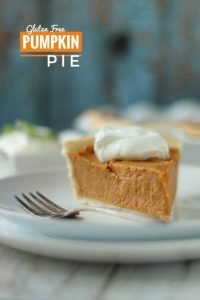 Check out these other 7 Easy Gluten Free Recipes for Thanksgiving. 1. Preheat your oven to 350 F. Cut the loaf of bread into 1/2 inch pieces and place into a large mixing bowl. 2. Mince the onion, garlic and celery, then add to the bowl. Add the stock along with the basil and salt and pepper. Mix until well combined. 3. Place the stuffing into a large lightly greased baking dish or onto a cookie sheet. 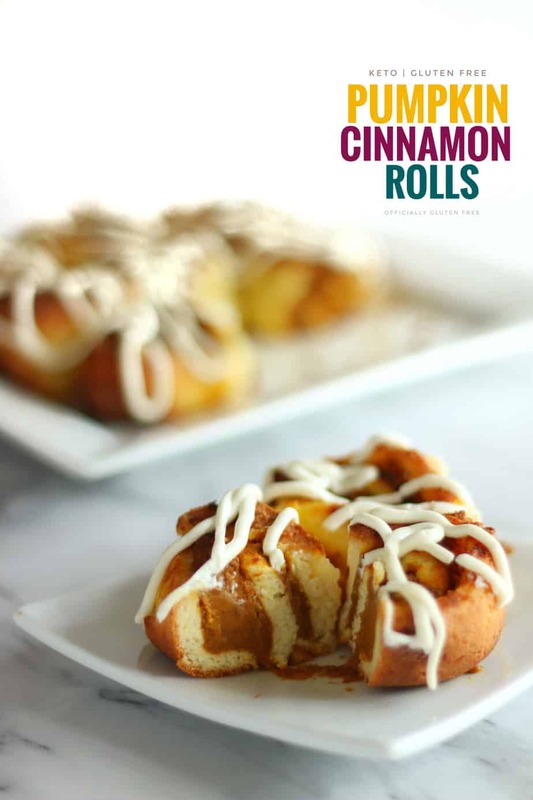 Bake for 40-55 minutes, stirring several times throughout. Makes 1 Batch of Gluten Free Stuffing. 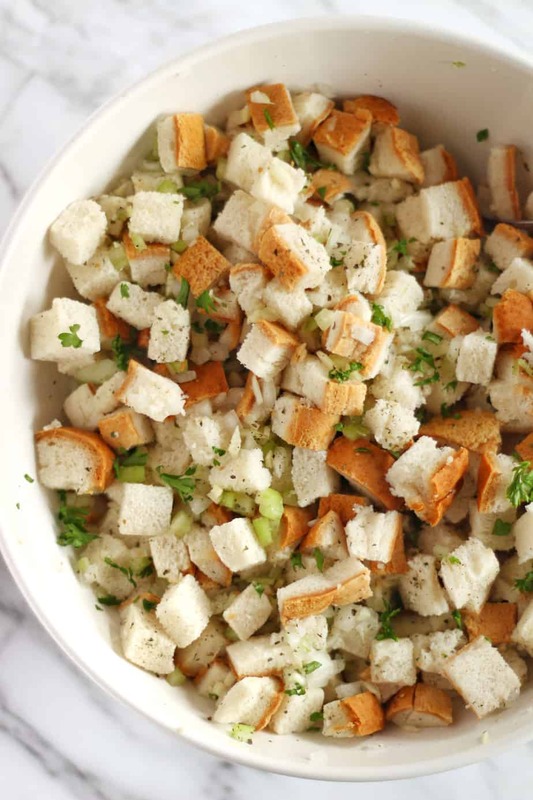 Cut up the loaf of bread into ½ inch pieces, then place into a large mixing bowl. 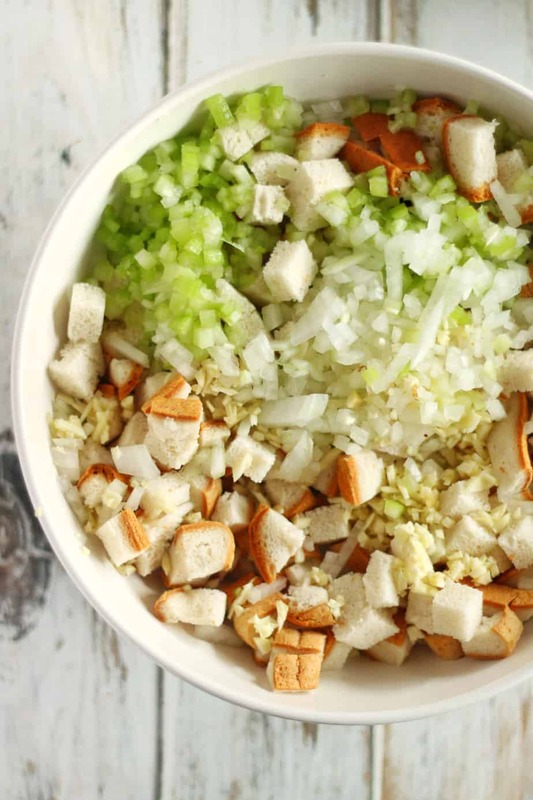 Mince the onion, garlic and celery, then add to the bowl. Add the stock along with the basil and salt and pepper. 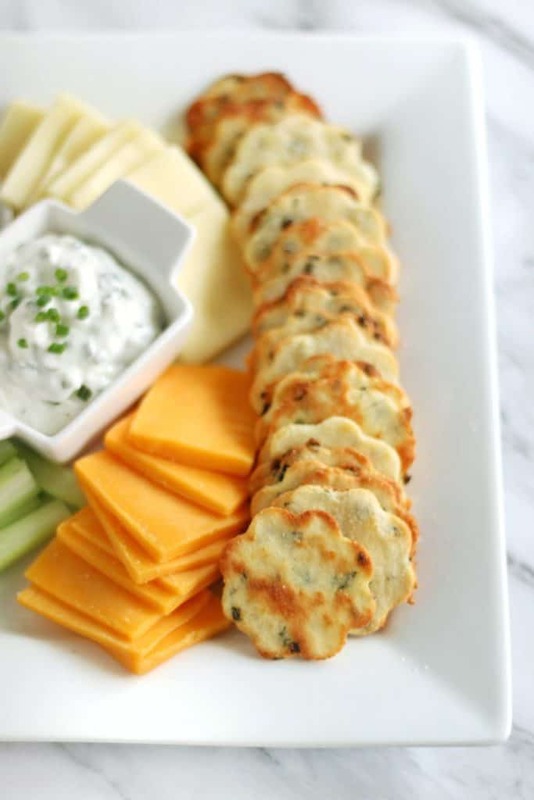 Place the stuffing into a large lightly greased baking dish or onto a cookie sheet. Bake for 40-55 minutes, stirring several times throughout. 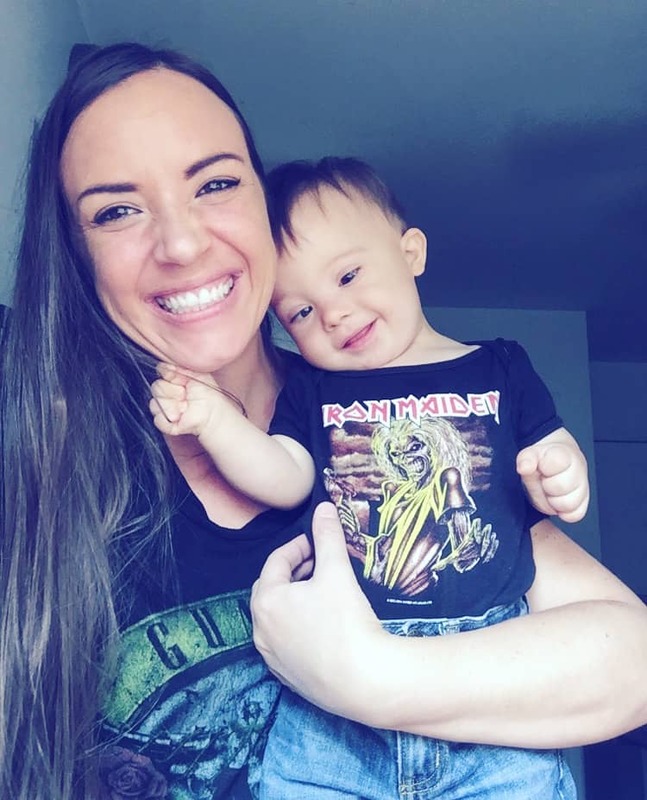 So glad I found your post in the Comment thread on Learn to Blog! 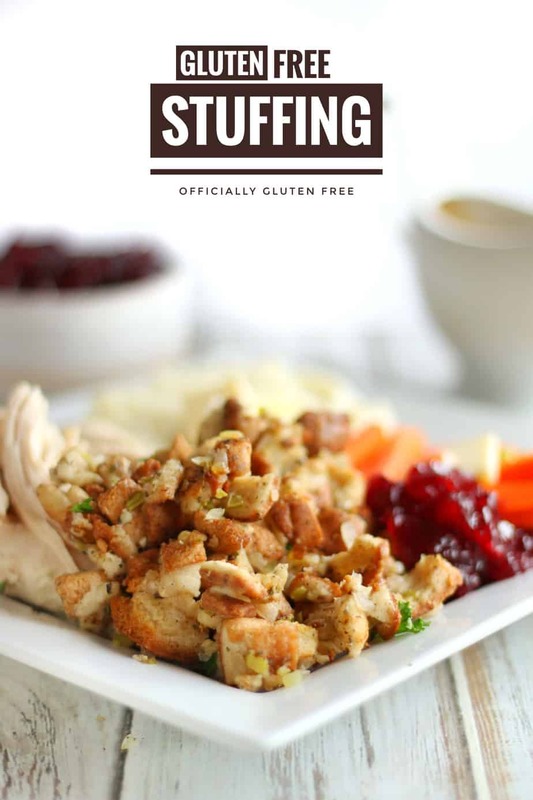 I eat gluten-free and miss having foods like stuffing. Turkey is nothing without stuffing. This looks like a stuffing my whole family will enjoy! Pinned to my Thanksgiving board so I don’t lose it! With a tiny switch to vegetable stock (my gluten-free daughter is vegetarian), I am excited to give this a try! Thanks for pinning. I hope your family enjoys it ? I have to comment on your site. I am a 77 year old great grandmother who recently found out I have Celiac. 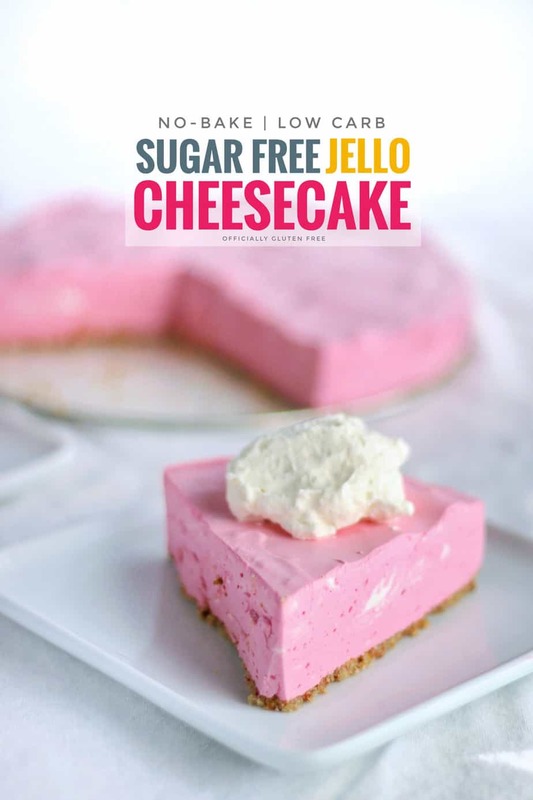 After months of frustration I found you and have to say that the recipes I have tried from your site ALWAYS turn out really well. Thanks, as it is a whole new learning curve for me. Hi Teresa ? Thank you so much for taking the time to comment on my blog. I know how you feel. 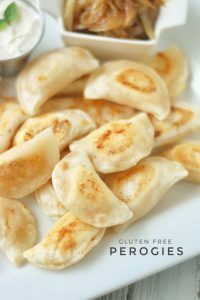 Going Gluten Free was really frustrating for me to in the beginning. It’s been a few years and I’m very well adjusted now. I do, do a lot more cooking than I used to because I prefer most GF things homemade. Probably because of how expensive Gluten Free food is ? I’m glad to hear that the recipes turned out well for you. Hope it gets easier for you. Yum! Timely help for Thanksgiving. I’m saving this. Quick question… is the basil fresh or dried? Thanks! Hi Louella, I have stuffed a turkey with this stuffing. I like my stuffing on the crispier side so I put it into the oven on its own for a few minutes before serving. Everyone thought it tasted great. Hi! 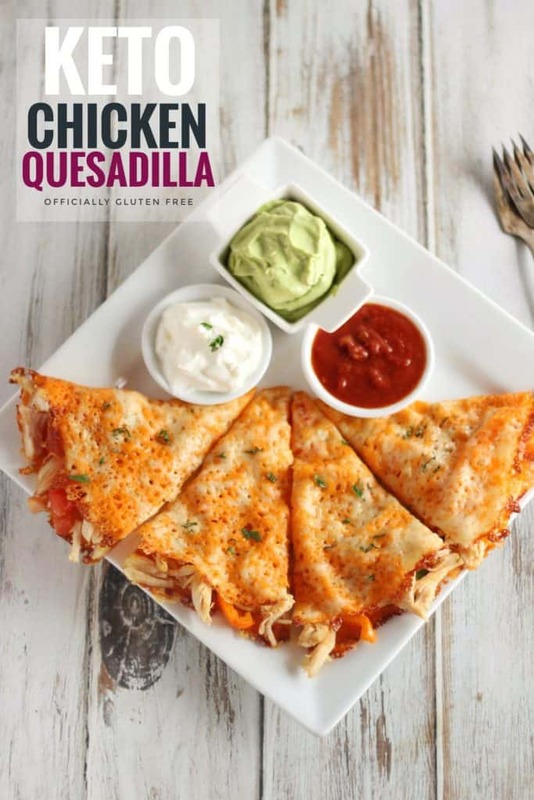 Could you share what brand of GF bread you used? I am nervous about “mushy” stuffing, and prefer the bread to still look cubed when it comes out of the turkey or oven. 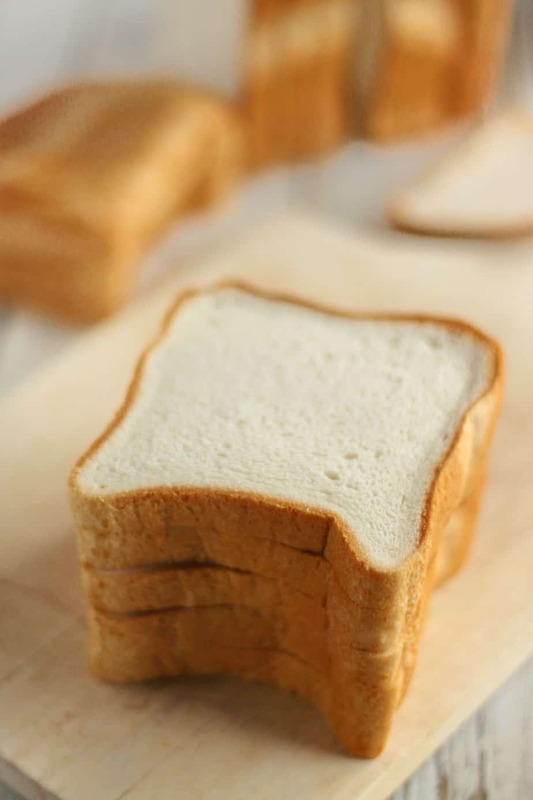 I use Kinnikinnick white bread. Its usually in the freezer section. Did you have any pre preparations for the bread, like leaving it out to dry. Or did you use it directly from the refrigerator? I used it directly from the fridge. How big should the gluten free loaf be? About the same size as a regular loaf of bread, or the really small size that gluten free loaves tend to come in? Thanks! Can this soak overnight to enhance flavor? Hi Courtney. I’ve never tried soaking it overnight but I think you could. You might need to add a little more of the roast drippings or broth before cooking though. Hope that helps.